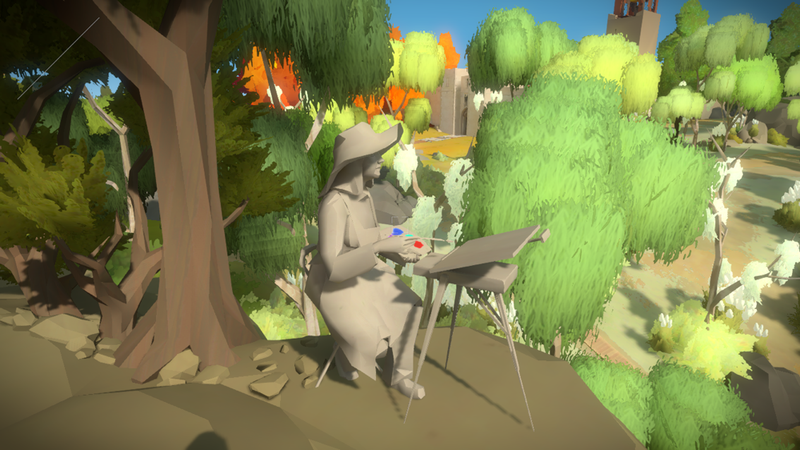 See my review for The Witness here. 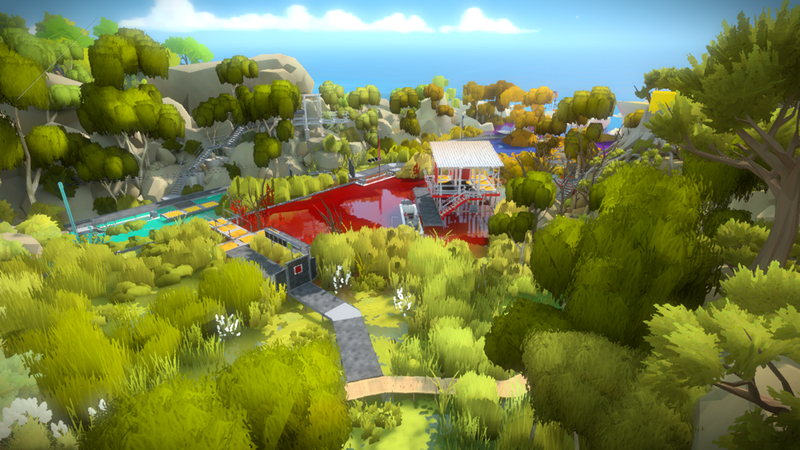 I’d been looking forward to playing Jonathan Blow’s puzzle adventure, The Witness, for quite some time now. I don’t enjoy playing games on my PC, so I waited patiently for it to arrive on iOS. Well, that day arrived this week and it’s been a bit of a rollercoaster ride. In more ways than one. The game has been giving me some motion sickness, but I keep getting drawn back to it for the puzzles and mysteries. The game seems practically unplayable for me on iPad because of the motion sickness. My two first half hour sessions left me reeling, even after messing with some settings. But just when I was ready to throw in the towel and admit defeat, I managed to get my save file to sync over to my iPhone, which wasn’t working at first. I spent some time with it now, about three hours total between my two devices, so I wanted to share some impressions so far. First off, the puzzles. I’ve solved seventy-five of the five hundred puzzles in the game, and they’ve all been line-drawing mazes. At first, it seems boring and perhaps the game could have ramped the difficulty up a bit in the beginning. 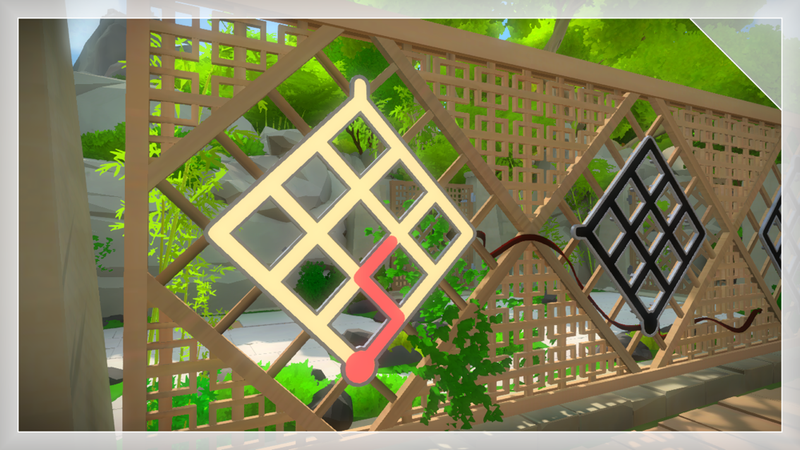 But once you start roaming around, you’ll encounter similar puzzles but with all sorts of twists. Sometimes there’s a single puzzle all alone that’s seemingly impossible at first glance. So you walk off and stumble across a whole group of puzzles that start off simple and gradually increase in difficulty so you can grasp the rules. Then another group of puzzles will introduce another set of rules and after completing both groups of puzzles, the one you skipped earlier will make sense. 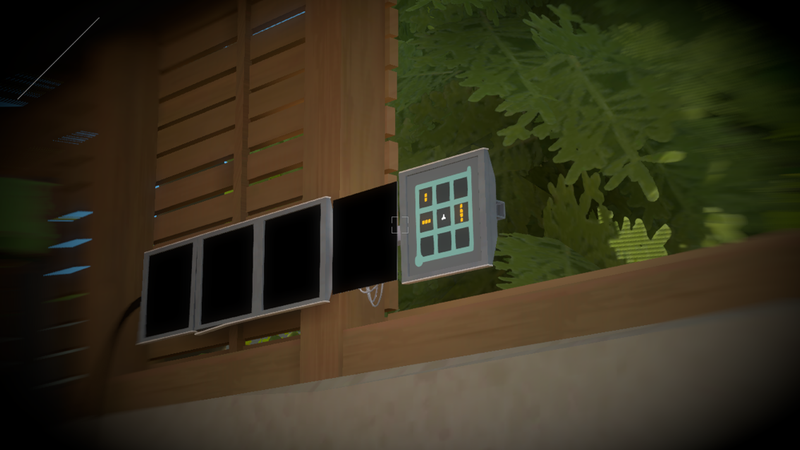 While it is a very open and free roaming game, there are some doors that are locked and some bridges that need to be lowered in order to access certain areas, usually by completing certain puzzles. 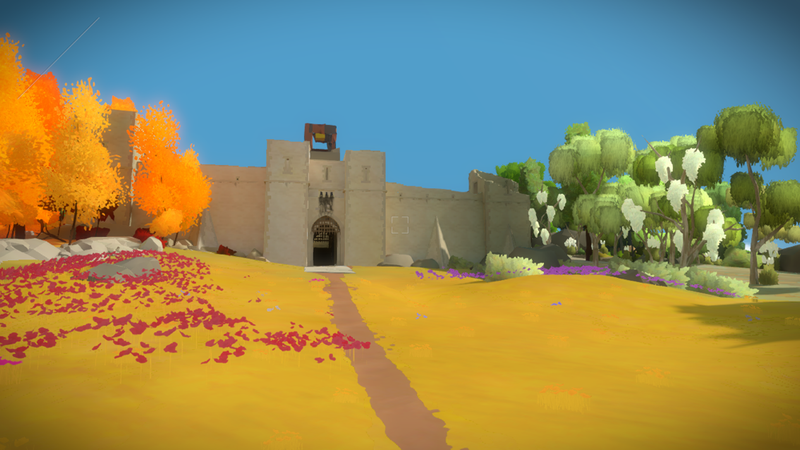 Luckily, the island you’re trapped on is gorgeous, with pink trees in one area and orange trees in another, castles, waterfalls, strange statues, and all sorts of other little touches and secrets. 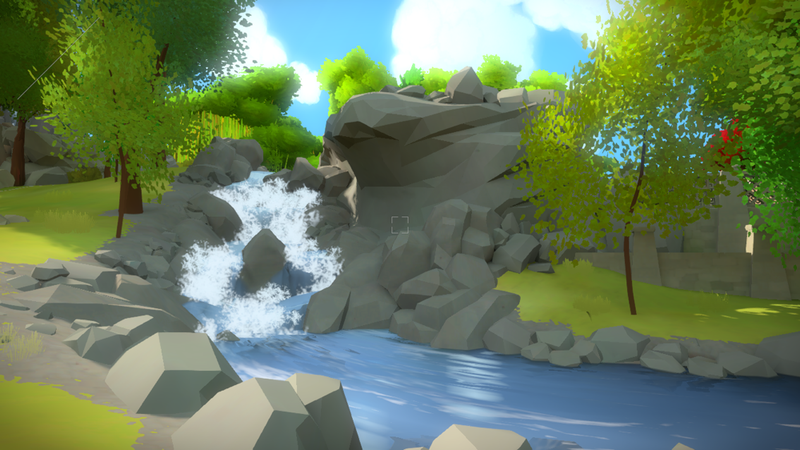 I don’t want to spoil anything, but the environment also becomes part of the puzzles pretty early on, and that’s when the game started to win me over. Until then, it seemed like a bunch of 2D puzzles stuffed into a 3D world and I didn’t understand the point. But I’ve since seen why the game is so highly praised. The ways the puzzles are incorporated into the environment really are clever. But there are a few ways this port suffers. Like I said, I was getting motion sickness playing on my iPad. I haven’t gotten that on an iOS game before, but I have experienced it sometimes from first-person 3D games on PC. I’m guessing the reason it bothers me more on my iPad than on my iPhone is because of the bigger, more engrossing screen. It fools my brain into thinking I’m actually outside in that world, but my body isn’t moving along with it. On iPhone, I think the screen is too small to fool my brain. But the controls leave something to be desired, especially on iPhone. The developers scrapped the joystick for tap-to-move. In some cases, this is great. For instance, if you don’t want to have to figure out how to navigate your way over to an area, just tap there and the game will find the path for you while you sit back and relax. But the lack of control while that’s happening exacerbates my motion sickness. And to make it worse, this is a game where puzzles can be hidden anywhere. It’s hard to just sit back and relax instead of moving the camera around to see if there are any puzzles nearby. That makes the nausea even worse. If you do have motion sickness, playing on an iPhone does seem to help with that, but it has its own issues. For instance, to interact with a puzzle, you tap and hold the little round spot and then trace the lines with your finger to the exit. You can do this from pretty much any distance, but it took a lot of getting used to at first. I kept forgetting to hold and instead would move the camera. I’ve since gotten into the habit of holding before drawing, but the controls still leave a lot to be desired. You can pinch to zoom in and out or use two fingers to inch forward, back, left or right. They help, but they’re not nearly as perfect as simply using a joystick to get that perfect vantage point. Many puzzles require you stand in a very precise spot in order to solve them and finding that can be clumsy with these controls. On top of that, when playing on my iPhone 6S, my fingers end up blocking part of the puzzle I’m trying to solve, making things more difficult. It’s clear this was meant for the bigger iPad, as you can draw without worrying about blocking anything. Normally, puzzles are relaxed, so making a mistake because of your chubby fingers isn’t a big deal. But sometimes messing up will force you to run back and solve the previous puzzle again. This can be tedious, but it also exacerbates my motion sickness. When I’m just standing still and solving puzzles, I don’t have much of a problem. But running around a lot makes everything much worse. I don’t know what the solution is, or whether the developers will even try to find one. But my recommendations at this point would be to still be careful if you get motion sickness, especially if you plan to play on an iPad. And if you can, play on an iPhone instead but be aware of its limitations. And I don’t recommend playing for long sessions, as I did get nauseous even after playing on my iPhone for about forty-five minutes with a lot of running around. If you don’t get motion sickness, I highly recommend playing on an iPad for a more comfortable experience and easier drawing. 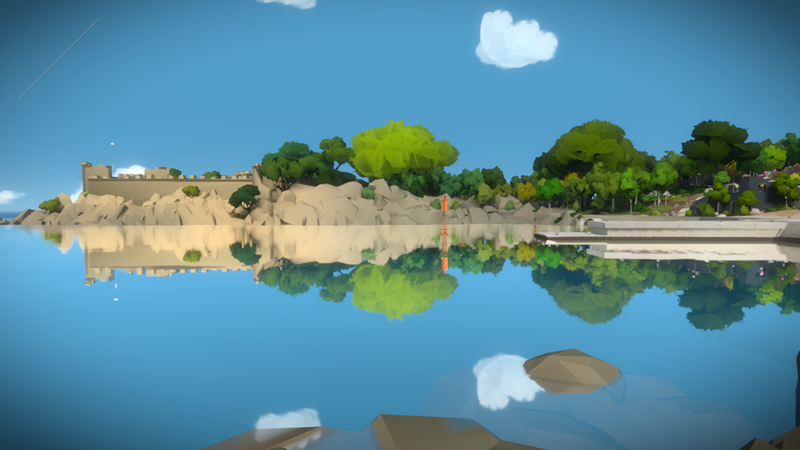 It’s perhaps a testament to the strength of its puzzles that despite being on the verge of vomiting after most sessions with The Witness, I still refuse to stay away from it. Despite the cramped feeling on my iPhone, I’m still playing on there instead of giving up and moving on to a different game — believe me, I have many great ones I’m in middle of right now. I had my doubts when I first started, but the more I play, the more I want to see, and the harder it is to pull myself away from this game even as it makes me physically ill. So if you don’t suffer from motion sickness, I think it’s very worth playing on some platform. The controls are still lacking on the mobile version, so consider playing on PC or console if you have one. But you can’t really beat the price on iOS. The game is unlike anything else I’ve played, and the magic is in the details. I just wish it wasn’t so painful for me to explore the island, as finding those hidden details is the best part of it. I have some gameplay videos of my journey so far embedded below, and I’ll add more as I make them. I’ll also be sure to keep you updated with my later impressions and likely a full review if I get far enough for that. You can download the game here if you want to give it a try. Thank you! I found this for PC and yes, I can only play in short spurts – I have trouble with 360-degree games. But it’s really pretty! I just finished the first section and opened the gate. LZ, If this is inappropriate, please delete. Almost all the puzzles are in screenshot at Steam, in a walkthrough. So if you’re stuck, you can peruse the shots to find your puzzle. They also have sections of the game listed. I have found your walkthroughs and reviews to be helpful. 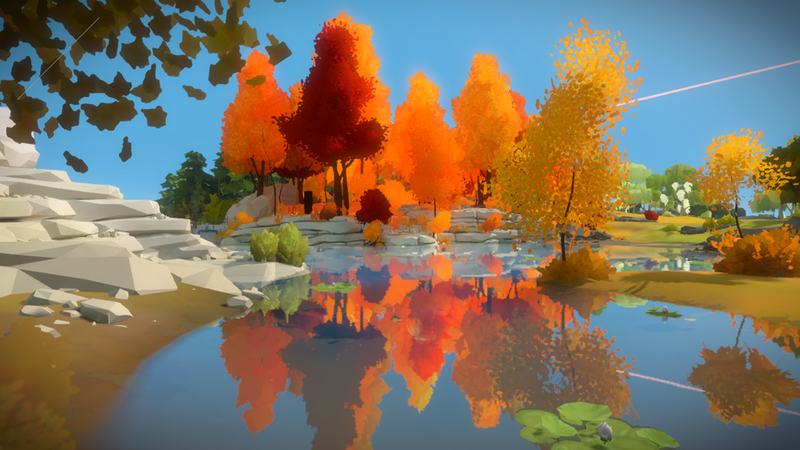 Can you recommend a game similar to The Witness? It is one of my favorite games.